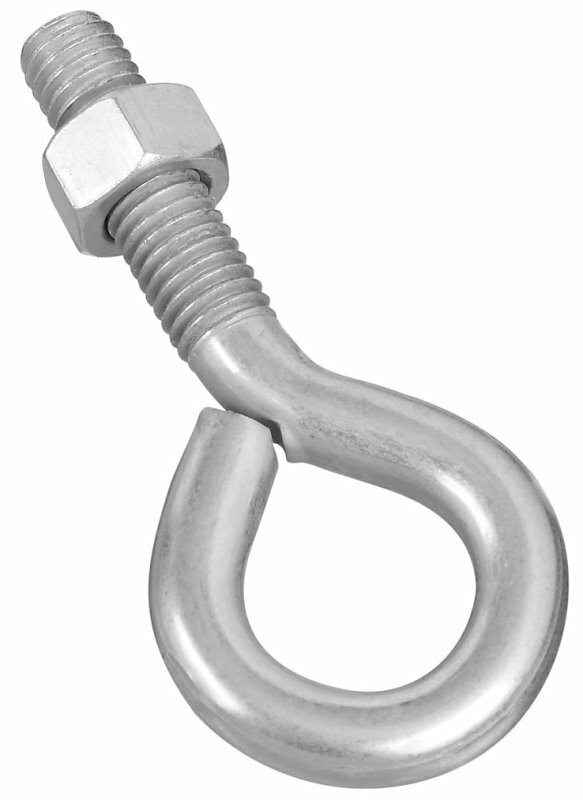 National N221-309 1/2 X 4" Eye Bolt With Nut - Zinc Plated. 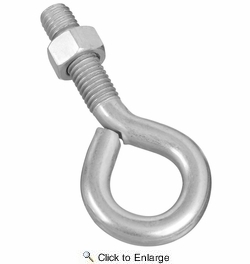 Designed for home and industrial applications. Hex nut included. Standard machine screw threads. For interior and exterior applications. Manufactured from steel wire. Safe Working Load (SWL) 300 lbs.